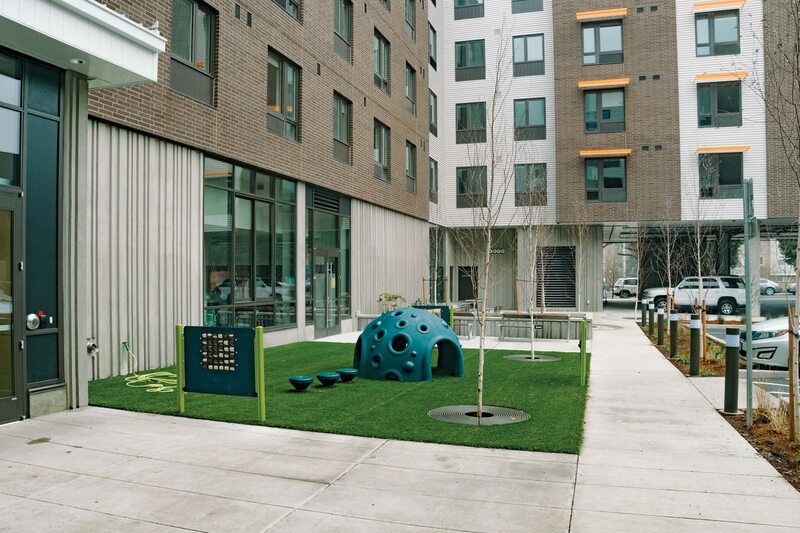 Portland Funded Apartments to Bring Back People Pushed Out of Their Neighborhoods. The Building Is Still Mostly Vacant. City officials feared a nonprofit planned to use its own waitlist for choosing applicants, a potential violation of federal fair housing laws. A longtime Portland nonprofit housing leader has struggled to fulfill the city's new plan to make amends for past gentrification of historically black neighborhoods. 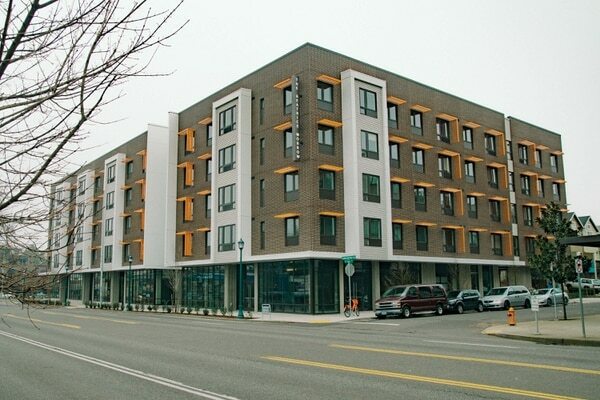 At Nov. 8 festivities for the 80-unit Beatrice Morrow Cannady affordable housing development in Northeast Portland, Mayor Ted Wheeler and community leaders showed up to herald an accomplishment. 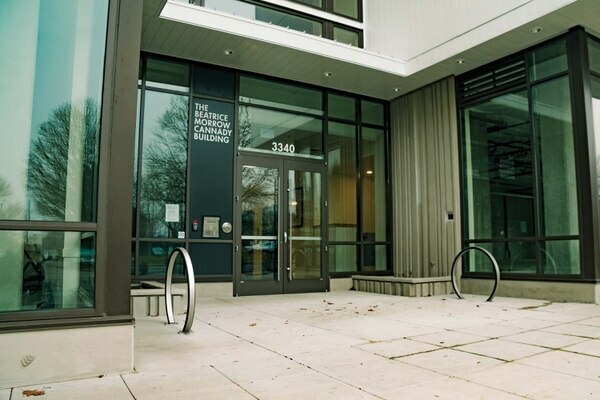 The building's opening was the culmination of a novel restitution strategy aimed at returning people displaced by gentrification and the city's own redevelopment efforts to their North and Northeast Portland neighborhoods. One problem: The building was empty. Records obtained by WW show just three people, at most, had been accepted to live in the building at the time of the opening. None had moved in. And despite applications from more than 1,500 people eager to live in the Beatrice Morrow, the complex was still 70 percent vacant as of Feb. 1. City officials committed $75 million in housing investments for reversing gentrification in traditionally black neighborhoods in North and Northeast Portland under a plan begun in 2014. The city is relying in part on Portland Community Reinvestment Initiatives Inc., a prominent nonprofit. Emails obtained by WW through a public records request show a sustained effort by PCRI to abandon the selection criteria for residents adopted by the city as the centerpiece of the effort to address past injustices in the neighborhood. That policy establishes a rigorous process for people seeking apartments in the Beatrice Morrow to prove their historical connection to the neighborhood. The Portland Housing Bureau believed the nonprofit planned instead to use its own waitlist for choosing applicants, a potential violation of federal fair housing laws—and warned the group against doing so. The group also simply stopped trying to lease the Beatrice Morrow for at least six weeks during the time it balked at city and federal policy, emails from city officials say. It remains unclear why PCRI wanted to abandon the city's preference policy in favor of its own waitlist, and in so doing, potentially violate federal housing law. PCRI's executive director, Maxine Fitzpatrick, claims not to know about the warnings from the Housing Bureau, but she also says the city's criteria was too strict. Fitzpatrick says she supports the city's preference policy but finds the terms onerous. "I feel that it's punitive to put people through that," Fitzpatrick tells WW. Although many of the people driven out of North and Northeast Portland by Portland's gentrification were African-American, federal housing policies prohibit the use of racial and ethnic preferences in selecting tenants. To comply with federal law, the city established criteria for ranking applicants for housing based on their connection to the neighborhood. The top-ranking applicants were those affected by the city's harmful urban renewal policies. But this summer, emails from city officials say, PCRI ordered the Beatrice Morrow's leasing agent to close up shop. Callahan worried that might be a problem. "It is my understanding that you may plan to add to, or to give applicants who appear on a PCRI waiting list priority over those applicants who have been identified pursuant to the city preference policy," she wrote in an Aug. 8 memo to Fitzpatrick. "Even if I wanted to, I do not have the legal authority to permit partners using public assets to engage in inconsistent leasing practices. I have an affirmative duty to ensure consistent application of city policies and the Fair Housing Act." Fitzpatrick, long among the city's most prominent black leaders, denies she did anything wrong. "My commitment to the community and the work that I've done stands for itself," she tells WW. "If you think it makes sense that I would go and deliberately hurt the very people that I've worked so hard to help and support, then I don't think there's much else I can say." Fitzpatrick blames the city for failing to find people for the homes—and a property management company the nonprofit contracted to handle the lease-up. The nonprofit's screening criteria differ from the city's in providing preference to people already living in other PCRI buildings and in the standard of proof required to show a connection to the neighborhood. The city policy certainly adds another layer of red tape to qualifying for housing. But nearby Charlotte B. Rutherford, a second building opened under the policy and developed by another nonprofit, Central City Concern, which held its official opening nearly a month later, on Dec. 4, has already filled 49 of 51 units, despite opening nearly a month after the Beatrice Morrow. Records WW obtained don't offer a complete explanation for PCRI's push to abandon the city's policy. But Fitzpatrick also asked the Housing Bureau to look into the case of a PCRI administrative assistant who was having trouble getting approval for an apartment in the Beatrice Morrow. "We're a low-income housing provider," Fitzpatrick tells WW. "We have always had employees qualify for our housing." Fitzpatrick says PCRI is now following the preference policy set by the city. She says PCRI has been more successful for the past six weeks in leasing empty units after firing the property management company. Fitzpatrick has been fighting to address continued rounds of displacement African-American Portlanders have faced. "For anyone to say we would do anything that would interfere with people being able to move into housing that we fought very, very hard to be able to develop," Fizpatrick says, "it's like two and two equals zero."